The huge Homewood Ski Resort expansion project that was approved last month by the Tahoe Regional Planning Agency (TART) has hit a new snag. Earthjustice, an entity representing environmental groups, has sued TART for their approval of the project. Earthjustice claims the required federal Environmental Impact Report is flawed and should not be relied upon. Opponents of the expansion believe the Environmental Impact Report does not properly appraise the impact of the new development. They are calling for another report that will make for a more honest appraisal of the impact to Tahoe residents and the environment. The hope is to block the building of the year round resort complete with condos, 4 story hotel, swimming pool and retail space. The positive side to the expansion of the 50 year old ski facility, is the increase in jobs to the area and additional revenue brought in by the new housing, dining and retail space. 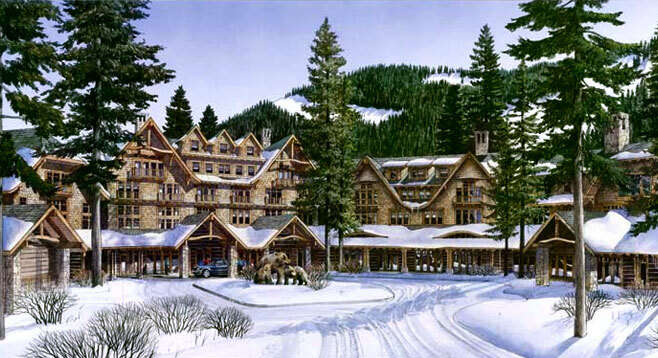 The Homewood Resort renovation master plan was reported on November 30, 2011.